iPhone 5 battery life in most cases is fairly poor, and even though it comes with a lightning charging connector that does rapidly charge it also drains very quickly indeed when playing games or watching videos, and then when it is time to make that important call the iPhone dies on you. So Apple should do something completely different for the iPhone 6 and use the Ulysse Nardin kinetic battery tech. 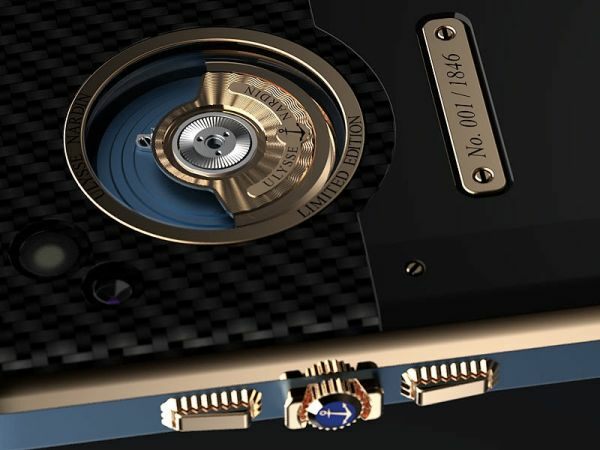 Forget the crazy Ulysse Nardin Chairman phone prices that can hit the pocket for $130,000, it reaches this price point because it comes with diamonds and gems as well as a $3000 case box the phone comes in that also acts as storage and a speaker dock, we just want to chat about the phones kinetic energy it uses to charge the phone just using movement. There is surely a way that Apple can incorporate this into the iPhone 6, not only will it give you vital charges for a few minutes it also looks stunning as well and adds that class of engineering on show. We do not mind the iPhone 6 being a little thicker than the iPhone 5 especially if it adds the classy look of the mechanical art of a rotor that can create kinetic energy to deliver supplemental power to the phone. The iPhone 6 can have style, class, engineering beauty in working motion, just imagine having the iPhone 6 on your ear and all others seeing the kinetic rotor moving whilst you are walking etc, eye candy at its best if you ask us. This would also open the doors for other business because the rotors could be customised for individuals, just imagine if we had an iPhone 6 with the kinetic rotor saying phonesreview.co.uk engraved on it. Apple could still release two new iPhone 6 models with a 4.2-inch and a 4.8-inch display, all they would need to do is make it a little thicker to house the rotor. It is always good to have that extra battery life, we know that kinetic energy using movement would not give you enough battery power to play videos or games, but it would most definitely give you enough charge if your phone died to make/receive calls or send text messages. Do you think the iPhone 6 would look fantastic as well as being practical if Apple incorporated a kinetic energy rotor on the rear? Bad idea. Watch type energy generators do not provide enough juice to make the difference. Ulysse Nardin phone company is out of business. I think we’d all be better off if phone companies started investing more heavily in graphene battery technology…and maybe realized that an extra 1-2mm in thickness could well be worth it if it meant a 50%+ increase in battery capacity.